Major obstacles to formulating a simple retention mechanism for reversed-phase liquid chromatography are identified as the heterogeneous composition of the stationary phase, the difficulty of providing a working definition for the phase ratio, and uncertainty as to whether the distribution mechanism for varied compounds are a partition or adsorption process or some combination of both. Some insight into the retention mechanism is provided by isotherm measurements, studies of surface excess adsorption, and molecular dynamics simulations, while on the other hand, retention factor measurements offer little guidance as they represent an average of various and variable contributing factors that can only be deconvoluted by assuming a specific model. The interphase model offers a phenomenological description of the active region of the stationary phase responsible for retention, but is not connected with any specific mathematical formulation on the retention mechanism. Mechanistic models based on solvophobic theory, lattice theories, and partition displacement models are of limited practical utility because of their complexity and unrealistic assumptions required in most part to simplify the mathematical description of the interphase region. Linear free energy relationships, such as the solvation parameter model, provide a simpler solution offering useful insights into the retention process for column selection and mobile phase optimization. Even here, caution is indicated as the interpretation of solvent effects on system constants implies an understanding of the retention mechanism which remains an enigma in search of a solution. Reversed-phase liquid chromatography established itself early in the development of high-performance liquid chromatography as the method of choice for the separation of small neutral and ionizable compounds. Well over half a century later that situation has not changed. This dominance results from its capability to handle compounds spanning a wide range of size, polarity, and ionicity; its versatility; and the availability of relatively straightforward albeit empirical approaches to method development [1, 2]. The simultaneous separation of neutral and ionic compounds is possible and the rapid equilibrium of the stationary phase with changes in mobile phase composition facilitates applications requiring gradient elution. The inclusion of additives in the mobile phase allows exploitation of secondary chemical equilibria to control retention and selectivity by ion suppression, ion-pair formation, and various complexation mechanisms. 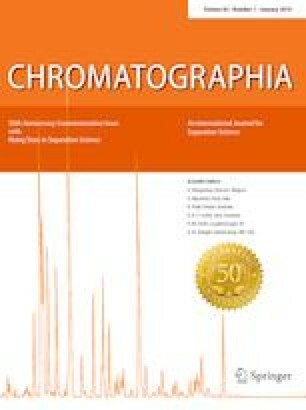 Many analysts in industrial laboratories are only familiar with reversed-phase liquid chromatography and employ other separation techniques as a last resort. This situation evolved, because reversed-phase liquid chromatography is an enormous success story from an applications point of view and in addition has driven many of the improvements in column technology. Recent developments in sub-3 µm totally porous and core–shell particles has served to further entrench the current picture by increasing the available peak capacity allowing adequate separations with minimal selectivity optimization for mixtures of moderate complexity. A few intuitive or trial-and-error experiments following prescriptive guidelines are often all that is needed to achieve success. Suddenly, everyone is an expert and fundamental aspects of retention mechanisms may seem largely irrelevant in the daily working lives of many liquid chromatography experts. This view is somewhat lopsided, but outside of academia and research-based institutions, few question the absence of a fundamental understanding of this important separation technique or strive to make a difference. While deficiencies in our understanding of the retention mechanism in reversed-phase liquid chromatography are glaring solutions do not seem to be much closer today than half a century ago. To appreciate the bottlenecks to understanding, we need to identify the barriers to progress. For simplicity, we will consider only the separation of small neutral molecules on monomeric alkylsiloxane-bonded silica stationary phases with a focus on the role of the mobile phase composition on retention and selectivity. Thus, we will not discuss column classification, pH and temperature per se while recognizing that these are important variables for the global optimization of selectivity in reversed-phase liquid chromatography [3, 4]. A major obstacle to formulating a global retention model for reversed-phase liquid chromatography arises from the heterogeneous composition of the stationary phase, uncertainty as to where to locate an interface between the thermodynamically defined mobile and stationary phases, and the uncertainty concerning the mechanism of the distribution process for the transfer of analytes between phases. In fact, whether retention occurs as a result of partitioning or adsorption at the interface between phases has been an open question since the beginning of reversed-phase liquid chromatography [5, 6, 7, 8]. A partition mechanism implies that the solute is transferred to the stationary phase with full insertion into the stationary phase volume. The adsorption mechanism views transfer as a competitive displacement occurring at an interface between the mobile and stationary phases which occurs with displacement of an equal volume of solvent (mobile phase) molecules to accommodate the solute at the surface of the interface. The two models represent the extreme possibilities, while real retention mechanisms might involve varying contributions from each model, or a mixed retention mechanism. Not only is it difficult to infer the retention mechanism from retention measurements alone, but the retention factor, in its role as the experimentally accessible surrogate for the distribution constant, also depends on the phase ratio. For a partition mechanism, the phase ratio is defined by the volume of the mobile and stationary phases, while for an adsorption mechanism, the important characteristic property of the stationary phase is the surface area of the interface between phases. The mobile phase volume can be estimated by the migration time of a solute which neither interacts with nor is excluded from the porous stationary phase after correction for extracolumn volumes and pressure and temperature gradients within the column [8, 9, 10, 11, 12, 13]. Even in this case, identifying solutes with no sorptive or repulsive interactions with the porous stationary phase is not straightforward, and no universal approach has emerged. The selection of suitable solutes is generally pragmatic and there can be only limited confidence that a particular approach affords a correct measurement of the mobile phase volume. The volume of the stationary phase or its interfacial area is even less well defined and rather difficult to estimate without prior assumption of a particular model and the identification of solutes that have a single retention mechanism [7, 14, 15]. The stationary phase volume needs to consider the selective solvation of the stationary phase and its dependence on the mobile phase composition. The surface area of the stationary phase of interest is those portions of the surface in intimate contact with the mobile phase. This is possibly only roughly related to the surface area of the silica substrate, which is more accessible experimentally, and often the only estimate available. Studies by nonlinear chromatography and molecular dynamics simulations offer some insights into the nature of the distribution mechanism, where the previous studies by linear chromatography cannot. The heterogeneity of the retention mechanism can only be characterized by measurements at concentrations approaching the saturation of the different sorption sites on or in the stationary phase. This requires high sample concentrations to saturate high-energy sites, so that the contribution from low-energy sites can be observed. The techniques for doing this are based on those employed for isotherm measurements developed originally for preparative liquid chromatography. For octadecylsiloxane-bonded silica stationary phases, up to four types of sorption sites have been identified in this way [16, 17]. The most abundant are the low-energy sites probably located at the interface between the mobile and solvated stationary phases. The other, higher energy sites seem to be located deeper inside the solvated stationary phase providing a larger surface area of contact with the analytes or more specific interactions with the silica surface. Sites at the interface between the mobile and stationary phases are associated with the classical adsorption mechanism, while sites buried deeper in the solvated stationary phase are associated with partitioning. Since low values of the saturation capacity of high-energy sites are associated with relatively large values of the site-specific equilibrium constant, the contributions to the observed retention factor from the different sites tend to be comparable. As a result, the observed retention factors are the sum of all the different contributions of each type of sorption site present in or on the stationary phase. For analytes of different sizes and polarities, the sorption sites are sampled to different extents, preventing a simple interpretation of the retention mechanism from retention factor measurements at low (typical) analyte concentrations for linear chromatography. Molecular dynamics simulations support the inference that the stationary phase is heterogeneous with multiple preferred regions for solute interactions [18, 19, 20, 21, 22]. In addition to solute identity, the retention mechanism depends on the topology of the stationary phase (the chain length and surface coverage of the bonded phase), the pore size, and mobile phase composition. For short-chain alkylsiloxane-bonded phases (< octylsiloxane), the retention mechanism is best described as adsorption for both polar and non-polar small molecules . For octadecylsiloxane-bonded stationary phases, both adsorption and partition are important for small molecules of low polarity, whereas adsorption is more important for polar compounds with hydrogen-bonding capabilities. The retention mechanism, is, however, strongly dependent on solute properties and is also subject to steric factors. Interestingly, adsorption is observed to occur at locations either above or just below the mobile and stationary phase interface for different solutes, somewhat different from the classic view of adsorption [22, 23]. This would infer the availability of more than one possible environment for adsorption interactions, the preference for which also depends on the surface coverage of the bonded phase and the mobile phase composition. For compounds with hydrogen-bonding functional groups, specific interactions with accessible silanol groups or water molecules bound to the silica substrate also contribute to the general retention mechanism. For octadecylsiloxane-bonded, silica-based stationary phases of intermediate surface coverage the retention mechanism of 1–4 ring polycyclic aromatic hydrocarbons was shown to shift from a mixed adsorption/partition mechanism for benzene to a nearly pure partitioning mechanism for the four ring polycyclic aromatic hydrocarbons . Large flexible molecules, that is, compounds, whose extended form is greater than the length of the solvated alkylsiloxane-bonded chains, are retained by embedding part of the chain in the stationary phase with the remainder adsorbs at the stationary phase interface . The extent of simultaneous partition and adsorption is expected to depend on the bonding density of the stationary phase and mobile phase composition. Emotively, there is a strong desire to explain the retention mechanism for reversed-phase liquid chromatography by models formulated according to a single mechanism. This simplifies the algebraic representation of the model. Current thinking is that the retention mechanism is based on simultaneous multiple adsorption and partition interactions occurring in and close to the surface of the solvated stationary phase with, in some cases, specific interactions with the silica surface and polar groups embedded in the chemically bonded ligands. Such a system is not easily translated into a simple mathematical model. It also needs to accommodate changes in the relative contribution to the model for compounds of different sizes and polarities as well as for changes in system properties associated with changes in the mobile phase composition and stationary phase morphology if it is to have significant applications in method development. Perhaps less obvious, the structure of water–organic solvent mixtures is also heterogeneous [24, 25, 26]. Binary water–organic solvent mixtures at a molecular level are composed of clusters of associated water molecules, water–organic solvent aggregates with a range of sizes, and associated organic solvent molecules. The relative concentration of these clusters depends on the volume fraction and identity of the organic solvent. It is assumed that compounds distribute themselves between the different sorption sites of the solvated stationary phase and different types of solvent cluster, each characterized by a separate distribution constant. In this case, the observed retention factor is an overall average of all the individual distribution constants and does not pertain to a single distribution mechanism. This limits the use of the retention factor to establish the priority of different models of the retention process. Surface excess adsorption describes the accumulation of one (or more) components of a binary (or higher order) solvent mixture in close proximity to an adsorbent surface under the influence of surface forces. For reversed-phase liquid chromatography, equilibration of the mobile phase with the stationary phase results in the selective adsorption of organic solvent at the stationary phase surface in excess of its equilibrium concentration in the bulk mobile phase [27, 28, 29, 30, 31, 32]. This accumulation is assumed to occur at the tips of the alkylsiloxane-bonded chains with formation of a continuous film at the adsorbent surface. For alkylsiloxane-bonded silica stationary phases, a higher surface adsorption excess is observed for tetrahydrofuran and acetonitrile compared with methanol. The largest surface excess of organic solvent is typically found for 20–40% (v/v) organic solvent–water binary mobile phases . The general interpretation of excess adsorption isotherms infers formation of multilayers perhaps 4–5 molecules deep of neat organic solvent for acetonitrile and tetrahydrofuran, while monolayer coverage is indicated for aqueous-methanol mobile phases, in both cases, reasonably independent of the chain length of the bonded phase. The weak chain length dependence for the surface adsorption of acetonitrile was used to infer that acetonitrile does not penetrate the immobilized alkyl chains , although spectroscopic and molecular dynamic simulations do not support this assumption and measurements by displacement/vacancy techniques indicate that it does [33, 34]. The amount of adsorbed organic solvent depends on the identity of the bonded-phase ligand and surface coverage for low bonding densities [29, 30], as well as the column temperature and backpressure . At low water concentrations, a different behavior is observed with formation of a water-enriched layer. For these conditions, the retention mechanism shifts from reversed-phase to hydrophilic interaction liquid chromatography (HILIC). A water-rich mobile phase has to be considered an essential element for separations by reversed-phase liquid chromatography. The measurement of excess adsorption does not require adherence to any specific adsorption model but interpretation of adsorption isotherms is only possible by predefining a model and introducing an interface (Gibbs dividing plane) [27, 31]. The calculation of the adsorbed solvent layer thickness requires an estimate of the surface area for the interface. This presents a problem, since the exact amount of adsorbent in a column is usually unknown and the specific surface area is only known for the unmodified silica [27, 30]. The surface area for chemically bonded porous stationary phase is complex and not generally amenable to measurement. The above, rather classical interpretation of the surface excess adsorption of organic solvent is the basis of the partition–displacement model of retention in reversed-phase liquid chromatography in which the distribution of compounds between a bulk mobile phase and the adsorbed organic solvent layer precedes their adsorption on the surface of the bonded phase . The model accounts for two transfer processes, a partition step from the mobile phase to the adsorbed solvent layer, and an adsorption step from the organic solvent layer to the chain region of the chemically bonded phase. The assumptions that underpin the partition–displacement model are not supported by molecular dynamic simulations. An increase in the partitioning of methanol into the chain region of alkylsiloxane-bonded silica stationary phases is observed with a dependence on the fraction of methanol in the mobile phase together with a general increase in the depth of the bonded-phase region due to solvation of the alkylsiloxane-bonded chains and selective adsorption of methanol in the region close to the tips of the alkylsiloxane chains [18, 22, 35]. Near the silica surface most of the solvent is water, while throughout the rest of the chain region, methanol predominates. Similar behavior is observed for water–acetonitrile mobile phases except that there are few water molecules at the silica surface. The different accessibilities of silanol groups for methanol- and acetonitrile-containing mobile phases represent an important difference in the retention mechanism for hydrogen-bonding compounds. The assumption that the adsorption of excess organic solvent occurs with formation of a distinct layer of neat organic solvent is not supported by the simulations. An increase in the amount of organic solvent in the interfacial region is observed, but the solvent composition in this region is never neat organic solvent. At the interface region, methanol molecules are preferentially oriented with their hydroxyl groups pointing towards the bulk mobile phase, whereas there is little orientation ordering for acetonitrile. Stationary phases with an embedded polar group exhibit a higher solvent density in the bonded-phase region compared with conventional alkylsiloxane-bonded silica stationary phases. For these phases, there is less enrichment of organic solvent at the interface than observed for conventional alkylsiloxane-bonded silica phases. The conclusion from the simulation studies is that the solvated alkylsiloxane-bonded silica stationary phase is not a homogeneous medium into which solutes partition nor a non-polar surface to which solutes adsorb. Rather, the stationary phase is a heterogeneous medium with multiple preferred regions for solute interactions. Developing a model for such a system is obviously complex and further problems arise when one tries to specify the exact dimensions, composition, or volumes of stationary and mobile phases. The interphase model attempts to provide a realistic picture of the active portion of the stationary phase responsible for retention but is not connected with any specific mathematical model for the retention mechanism . The interphase is a diffuse and possibly microscopically thick region separating two dissimilar phases in which one phase has a limited solubility in a region of the other. For chemically bonded phases, a major function of the bonded organic chains is to organize and assist in stabilizing an interphase region in equilibrium with a bulk solvating mobile phase. This region is bound on one side by the silica substrate, which is impenetrable to solvent. On the other side, it is bounded by an imaginary dividing plane separating the interphase region from the bulk mobile phase with a constant composition no longer influenced by surface forces. The structure of the interphase region is heterogeneous and dynamic housing several area-constrained and mobile components. For chemically bonded phases, the interphase region consists of the unreacted silica surface, the organic ligands anchored at one end to the silica surface, and components adsorbed from the mobile phase attracted into the interphase region by solvation of the bonded-phase ligands and the silica surface. The thickness of the interphase region is changeable and depends on the mobile phase composition, the identity and surface coverage of bonded ligands, properties of the silica surface, whether endcapped or not, and the average column temperature and pressure. For alkylsiloxane-bonded silica stationary phases, the chain conformations are highly disordered with a preference to stand roughly perpendicular to the surface and roughly independent of the mobile phase composition [22, 23, 37, 38]. The conformational order of the bonded chains increases with the surface coverage and alkyl chain length. The penetration of organic solvent into the chain region increases with the volume fraction of organic solvent in the mobile phase. The water concentration in most of the bonded-phase region is low, but a significant amount is located near the silica surface and hydrogen bonded to silanols . For water–methanol mixtures, the major portion of accessible silanols are involved in hydrogen bonding with at least one solvent molecule (predominantly water), while for water–acetonitrile mixtures, this fraction is significantly lower and is an important difference in the way that the two organic modifiers influence the retention properties of the interphase region. For steric reasons, it is only possible to react about half of the silanol groups on a silica surface with typical reagents used to prepare monomeric-bonded phases . The remaining silanols are largely inaccessible to solvent and analyte molecules, and presumably play little part in the properties of the interphase region. A small population of accessible silanols acts as high-energy adsorption sites that interact with both polar solvent and analyte molecules, particularly those capable of hydrogen bonding [39, 40]. Bonded phases based on type A silica generally have a higher number of acidic silanol groups . Progress in minimizing peak tailing of bases, originally thought to be exclusively due to interactions with silanols, has been impressive, but not entirely eliminated. An alternative explanation of this behavior is that tailing results from the presence of a low concentration of high-energy adsorption sites buried deep in the bonded-phase region, which are not necessarily associated with the presence of silanol groups [41, 42]. Alternatively, it has been speculated that silanols inaccessible to analytes could form water wires (a hydro-linked proton conduit) that facilitates the transfer of a proton from the silica surface to analytes residing in the bonded-phase region . Mechanistic models attempt to explain the retention process by formulating a mathematical description based on a presumed retention mechanism. In general, they can be classified as partition, adsorption, or partition–displacement models [5, 44, 45, 46]. Partition models are simple to formulate but difficulties arises from the heterogeneous nature of experimental partition constants and the limitation of methods used to define the stationary and mobile phase volumes. The simplest general model of partition is the cavity model, In this case, transfer of a solute from the mobile phase starts with the formation of a solute size cavity in the stationary phase, followed by transfer of the solute to the solute size cavity in the stationary phase, and finally closing of a solute size cavity in the mobile phase [46, 47]. To build a model around this process it is necessary to formulate expressions for solute–solvent and solvent–solvent interactions in both the mobile and stationary phases and to incorporate interactions of the solute and solvent with the solid surface. Chemically bonded phases with associated solvent molecules are complex environments and quite different from bulk solvents. As such their properties are not easily represented in a simple mathematical form. The finite dimensions of the interphase region are likely to limit the solute size range for a pure partitioning mechanism. The main theoretical approaches based on the cavity model are represented by solvophobic theory and lattice theories. Solvophobic theory attempts to explain retention as a thermodynamic cycle in which binding of the solute to the alkylsiloxane-bonded chains of the stationary phase occurs in the gas phase followed by transfer of the participating species into the mobile phase [1, 48, 49]. The free energy change for this process is the difference between the free energy for transferring the ligand–solute complex from the gas phase into solution and the free energy change for transferring the individual components into solution. The mathematical expressions for these terms are complex, and in some cases intractable. Unless, it can be assumed that some terms are negligible. Solvophobic theory attributes stationary phase effects to solute–ligand interactions in the gas phase and is unable to account for solute interactions with solvent molecules adsorbed into the solvated stationary phase or specific interactions with silanol groups. These interactions are more important for polar compounds which are often poorly handled by solvophobic theory compared with non-polar compounds. In summary, it can be said that the unrealistic view of the retention process limits the capability of the model to provide practical guidance for method development. Lattice theories have their origin in statistical thermodynamics and assume that retention occurs by partitioning of the solute between the mobile phase and the solvated ligands of the stationary phase [47, 50, 51, 52, 53]. The driving force for retention is provided by the difference in chemical potential for the contacts of the solute with surrounding neighbors in the stationary and mobile phases and the partial ordering of the bonded-phase ligands, which leads to an entropic expulsion of solute molecules relative to the properties of an isotropic liquid. The stationary phase is typically modeled by an amorphous crystalline hydrocarbon to account for stationary phase organization. Analysis is simplified by assuming an inert surface (silanol interactions are negligible) and neglecting the effects of surface curvature and external pressure on solute transfer . Restrictions imposed by assumptions of regular solution theory (random mixing) on long range intermolecular interactions to nearest neighbor molecules and/or molecular segments were later minimized by a quasi-chemical approach to allow for preferential solvation of the solute in the solvated stationary phase . Partition or interfacial adsorption as alternative distribution mechanisms can be modeled [51, 52]. However, a combination of the need to manage complicated equations and the affect of questionable assumptions in solving those equations, have conspired to effectively marginalize further use in the contemporary literature. Partition–displacement models describe the retention mechanism as a two step process [27, 45, 46, 53, 54, 55, 56, 57]. In the first step, solute and solvent molecules are co-adsorbed onto the stationary phase already equilibrated with mobile phase in which adsorption of solute molecules is modeled as a competitive adsorption or displacement process. Subsequently, solute molecules are partitioned between the organic solvent-rich region of the stationary and mobile phase interface and the chain region of the stationary phase. The later may be considered solvated or not depending on model assumptions. Solute retention is the sum of the competitive adsorption and partition constants, which are assigned to specific process only and fail to capture completely the heterogeneous nature of the retention process. It remains unclear whether surface excess adsorption results in a distinct solvent layer of predominantly neat organic solvent (classical thermodynamic picture) or merely a gradient of solvent composition in the chain region of the stationary phase with the region adjacent to the mobile phase enriched in organic solvent. Although described as a mixed retention mechanism, this model does not consider the simultaneous contributions from partition and adsorption in a heterogeneous stationary phase environment with statistically probed sites of different energies. The limitation of the above models to describe retention in reversed-phase liquid chromatography is a result of the heterogeneous nature of the interphase region. In practical terms, the phase ratio for typical systems is generally unknown, a complete mathematical description of the interphase region is unavailable, and the observed retention factors are composite terms representing the simultaneous contributions from several distribution processes. Mechanistic models have largely failed to gain traction because of over simplification of the retention mechanism as well as their mathematical complexity. The general simplicity of the variation of experimental retention factors with mobile phase composition means that even primitive retention models may describe this relationship adequately. Simply fitting experimental retention factors to models with multiple adjustable parameters hardly helps to identify the real retention mechanism or to establish primacy for particular models . Unfortunately, it has not proven possible to develop a theory, which takes account of all relevant parameters affecting retention, and is simple enough to be used in practice. Given the complexity of the retention mechanism, models that provide an overview of the retention process without attempting to explain all details at a molecular level have proven more profitable and practical. Linear free energy relationships, a subset of quantitative structure–retention relationships (QSRR), are most useful for this purpose. The advantage of LFER models with a fixed number of descriptors is that they facilitate the comparison of different systems in the same terms, while more broadly QSRR methods utilize statistical tools and different numbers and types of descriptors to describe retention for a particular system [2, 59]. Descriptors used in QSRR models often lack a simple physical identity and may fail to provide obvious insight into the retention process. For models with different types and numbers of descriptors, there may be no sensible means to compare different systems in quantitative terms. The two most popular LFER models employed in reversed-phase liquid chromatography are the solvation parameter model [1, 60, 61, 62] and the hydrophobic-subtraction model [63, 64]. The solvation parameter model is used exclusively in the following discussion as it utilizes thermodynamically based descriptors without the ambiguity resulting from training exclusively on reversed-phase liquid chromatography retention data. In addition, the descriptors in the hydrophobic-subtraction model are defined for a single mobile phase composition at two pH values and do not facilitate a discussion of the affect of solvent effects on the retention mechanism for different mobile phase compositions and solvent type. The descriptors in the solvation parameter model are independent of mobile and stationary phase properties and allow assessment of a wider range of operating conditions on the retention mechanism. where k is the retention factor. The lower case letters on the right-hand side of the equation are system constants that describe the complementary interactions of the system with the solute descriptors. The capital letters represent the solute descriptors, defined in Table 1, and characterize how a solute behaves in the system based on its size and capability for intermolecular interactions. Of the five solute descriptors, only the characteristic volume, V, and excess molar refraction, E, are accessible by calculation. The other three descriptors are determined by experimental methods, as indicated in Table 1 [65, 66, 67, 68]. Although reversed-phase liquid chromatography is an option for measuring descriptor values [69, 70], these are more commonly determined by liquid–liquid partition and gas–liquid partition chromatography were distribution constants and phase ratios are easier to determine and the distribution mechanism is better understood. For reversed-phase liquid chromatography, the system constants represent the difference in solvation interactions in the mobile and stationary phases for each interaction specified by a descriptor. For neutral compounds, it is assumed that the specified group of descriptors characterizes all possible intermolecular interactions except those associated with stereochemical interactions. The system constants for each system are obtained from the measurement of retention factors for a varied group of compounds by multiple linear regression analysis. Ideally, they are independent of solute identity. It should be noted that multiple linear regression analysis is a statistical tool, and the compounds used to estimate the system constants are required to conform to selection guidelines (statistical criteria) as well as having adequate retention in the separation system [61, 66, 67, 68]. Statistical parameters indicate the suitability of a model to predict retention properties for further compounds with descriptor values in the same range as those used to construct the model. Statistical tools can guide the acceptance of a model for a particular application but the physicochemical interpretation of the system constants is only possible by adopting a valid description for the system. In liquid–liquid partition and gas–liquid chromatography, a partition model can generally be assumed. This is not necessarily the case for reversed-phase liquid chromatography for which the interphase model suggests participation of a heterogeneous stationary phase with varied contributions from energetically different adsorption and partition sites. This could be seen as something of a problem, but there is some comfort in the relatively good statistics for models for reversed-phase system compared with those based on an unambiguous distribution model and a reasonable belief that the system constants make chemical sense when different systems are compared [60, 61, 62, 71, 72, 73, 74, 75]. The typical standard deviation of the residuals for models obtained by gas–liquid chromatography fall into the range 0.02–0.04 (log k) and for reversed-phase liquid chromatography 0.02–0.06 for data sets employing varied compounds taken from the same descriptor database [67, 68]. There is some support for the above view from better defined systems with a mixed or exclusive adsorption mechanism. The solvation parameter model was used to successfully model the gas–water adsorption constant for varied organic compounds on bulk, film water, and ice . It was shown to be significantly easier for a compound to locate itself at the water surface than to migrate into the bulk liquid. Dispersion interactions easily overcome the energy required for rearrangement of water molecules at the surface to accommodate the adsorbed compound, while for partition, the sum of polar and dispersion interaction terms has to be of sufficient magnitude to overcome the energy required for cavity formation. For compounds of low polarity, this is difficult to achieve. The solvation parameter model also provided suitable models with good predictive capability for the sorption of varied organic compounds (measured as gas-matrix adsorption constants) to diesel soot and atmospheric aerosols . A general aerosol model was constructed accommodating aerosols of different types with only a minor loss of modeling power for bases (due to ion-exchange interactions) and carboxylic acids and alcohols (due to association on the sorbent matrix). The adsorption of varied organic compounds (log k) on porous graphitic carbon with methanol–water mobile phases was adequately described by the solvation parameter model except for angular compounds due to failure of the characteristic volume to model the contact surface area for the interaction of these compounds with the planar adsorbent surface . The driving force for retention was interactions associated with the mobile phase (hydrophobicity and hydrogen bonding) supplemented by specific interactions at the stationary phase surface (dipole-type and electron lone pair interactions). Models for the normal-phase separation of varied organic compounds (log k) on silica-based polar chemically bonded stationary phases showed good modeling power but only poor models resulted for silica . The poor fit for silica resulted from the inadequacy of the characteristic volume to represent the projection of the cross-sectional area of the solutes at the solvated adsorbent surface and from site-specific interactions of polar compounds with the heterogeneous surface adsorption sites. The normal-phase retention of varied organic compounds on porous polymers was adequately modeled by the solvation parameter model . The retention of low polarity compounds on polar stationary phases in gas chromatography is known to occur by a mixed retention mechanism in which interfacial adsorption contributes simultaneously with partition to the retention mechanism [1, 8, 81, 82, 83]. An in-depth study of the retention of varied compounds on poly(diethylene glycol succinate) indicated that the solvation parameter model provided both chemically and statistically sensible models, where both partition and interfacial adsorption contributed to the retention mechanism . Those models with partial contributions from interfacial adsorption, where only slightly less statistically sound compared with the pure partition models. Interfacial adsorption resulted in a linear change in the system constants at a constant temperature that could be predicted from the phase ratio. The changes in the system constants with temperature show the same trends for the mixed and pure partition retention models, but have different slopes. As a unifying framework, it was proposed that the retention properties of the interfacial region resemble those of the bulk solvent except that the interfacial region is less cohesive and the intensity of polar interactions is reduced. Although originally formulated as a partition model, the solvation parameter model seems able to model adsorption interactions on surfaces with weak specific interactions and flexible sorption sites quite well. It would appear suitable to model heterogeneous stationary phases of the type imagined by the interphase model with some loss of accuracy resulting from mixed retention mechanisms. The fact that the system constants are determined as an average for varied compounds might be an advantage in smoothing out differences. Potential problems could arise from steric factors that control accessibility to sorption sites for compounds of different sizes or shapes and site-specific interactions with silanol groups. Some degree of caution is warranted in the interpretation of system constants, since changes in retention in itself do not propose a specific retention model but can only be explained by employing a model for the retention process. In subsequent sections, I will discuss the system contributions (defined by the properties of the mobile and stationary phases) to the retention mechanism, but it should not be lost in sight that each interaction is the product of a solute contribution (descriptor value) and the complementary system contribution (system constant). Thus, a system might have a significant capability as a hydrogen-bond acid but for solutes that lack hydrogen-bond basicity this would not be important for its retention. System maps for binary mobile phases [60, 61, 62, 85, 86] or response surfaces for ternary solvents [87, 88, 89] (alternatively binary mobile phase and temperature as a variable [90, 91]) facilitate visualization of the effect of changes in the mobile phase composition on the retention properties of the stationary phase. Typical system maps for methanol–water and acetonitrile–water mobile phases on an octadecylsiloxane-bonded silica stationary phase are shown in Figs. 1 and 2, respectively . System constants with a positive sign favor transfer to the interphase region and an increase in retention. For reversed-phase separations, retention is dominated by the cavity/dispersion term, v system constant, with a small contribution from electron lone pair interactions, e system constant. Polar interactions generally have a negative sign and favor residence in the mobile phase and lower retention for polar compounds compared with non-polar compounds of a similar size. This is particularly true for hydrogen-bond bases, since the b system constant is considerably larger than the s and a system constants representing the contributions from dipole-type interactions and the difference in hydrogen-bond basicity between the mobile phase and interphase region. As the volume fractions of organic solvent increases, there is a continuous decrease in the v system constant in agreement with the general observation that retention decreases at higher volume fractions of organic solvent in reversed-phase liquid chromatography. Systems maps for other water-miscible organic solvents retain the same general trends shown in Figs. 1 and 2, but differ in the individual values of the system constants [60, 86, 93, 94]. System maps illustrate the guiding influence of water in the retention mechanism for reversed-phase liquid chromatography. The uptake of water by alkylsiloxane-bonded silica stationary phases is low, so water exerts its influence largely through interactions in the mobile phase, where its high cohesive energy (a product of its extensive hydrogen-bonding network) and hydrogen-bond acidity compared with typical water-miscible organic solvents are major contributing factors to the v and b system constants that dominate the retention mechanism. The interphase region is a less dipolar/polarizable and a hydrogen-bond basic region than the mobile phase but these contributions (s and a system constants) are generally weak compared with the difference in cohesion and hydrogen-bond acidity for alkylsiloxane-bonded silica stationary phases. System map for a superficially porous ethyl-bridged, octadecylsiloxane-bonded silica stationary phase (Kinetex EVO C18) for methanol–water mobile phase composition. System map for a superficially porous ethyl-bridged, octadecylsiloxane-bonded silica stationary phase (Kinetex EVO C18) for acetonitrile–water mobile phase composition. The influence of column packing morphology and topology on system properties for alkylsiloxane-bonded silica stationary phases can be evaluated by comparing the system constants for different stationary phases at the same mobile phase composition. Representative data for methanol–water (1:1) are collected in Table 2 [81, 84, 85, 86, 87, 88, 89, 92, 93, 94, 95, 96, 97, 98, 99, 100, 101]. All stationary phases are monomeric and based on type B silica. The siloxane-bonded groups include octadecylsiloxane, octylsiloxane, polar-embedded alkylsiloxane and diisobutyloctadecylsiloxane groups on totally porous, inorganic–organic hybrid and superficially porous silica particles. For those column packings, the manufacturers provide typical physicochemical properties this information is summarized in Table 3. In general, the average pore diameter and specific surface area are for the silica substrate and not the bonded phase. The Kinetex superficially porous particles have an average pore size of 10 nm and a surface area of about 150 m2 g−1. The column packings are generally endcapped with a hydrophobic group (typically trimethylsilyl) except for Synergi Hydro-RP, which is endcapped with a proprietary hydrophilic group. Twelve entries in Table 2 are octadecylsiloxane-bonded silica stationary phases with different pore sizes, surface areas, bonding densities, and type and method of endcapping. In spite of these differences, their system constants are quite similar (average values v = 2.06 ± 0.09, e = 0.33 ± 0.05, s = − 0.76 ± 0.05, a = − 0.44 ± 0.05, and b = − 1.70 ± 0.07). Systematic changes in the system constants with the sorbent morphology are not apparent and the selectivity space available by column selection is small. The c term, on the other hand, covers a range from − 0.28 to − 0.66 and has a significant effect on the observed retention but not selectivity. When the dependent variable is the retention factor (log k) the c term contains the phase ratio for the separation system. Boehm and Martire envisioned the stationary phase in reversed-phase liquid chromatography as a “breathing” surface that responds to mobile phase composition and is qualitatively what is observed in the variation of the c term with mobile phase composition . The c term also contains statistical contributions from the lack of fit of the models to the retention factors and should be interpreted with some caution. A further problem is deciding on a model for the phase ratio. If an adsorption mechanism is assumed, then the surface area of the interface between the mobile phase and the interphase region is important, while for a partition mechanism, the volume of the interphase region is required. For a mixed retention mechanism, presumably, individual compounds would experience different apparent phase ratios depending on the exact contribution from each mechanism. The c term is well defined in the cited models with a small standard deviation. For multiple and varied contributions to the phase ratio, a greater dispersion in the c term would be expected than is normally observed. In addition, there is a reasonably linear relationship between the surface are of the silica substrate and the c term for the totally porous silica packings. This does not reveal anything about the retention mechanism, since an increase in the volume of the interphase region is likely to be strongly correlated with an increase in surface area of the silica substrate. In any case, the area of the surface in contact with the bulk mobile phase, which is likely different from the surface area of the silica substrate, is the relevant parameter for adsorption interactions. For these reasons, we can only comment on the gross value of the c term, which indicates that while the contribution of intermolecular interactions to retention fall into a small range, the component that comes from the estimate of the phase ratio represents a reasonably wide range. Thus, for a fixed mobile phase composition, the retention factor range for the octadecylsiloxane-bonded silica stationary phases in Table 2 is quite different, while the relative order of retained compounds is similar. Differences in selectivity (or band spacing) are more accurately highlighted by comparing the normalized system constants obtained by dividing each constant by the v system constant, as indicated in Table 2 [103, 104, 105]. A difference in band spacing is associated with simultaneous differences in two system constant ratios. Visualization of the system constant ratios in Table 2 is facilitated by hierarchical cluster analysis with the system constant ratios as variables, Fig. 3. There is no obvious connection between the topology of the stationary phases and the composition of the clusters. The two most dissimilar stationary phases on the dendrogram are Kinetex C18 and XBridge Shield RP18. Differences in selectivity as a function of mobile phase composition can be compared by plotting the system constants for XBridge Shield RP18 against the equivalent values for Kinetex C18 for the composition range 10–70% (v/v) methanol, Fig. 4. For columns of similar selectivity, the system constants are expected to fall close to a single line passing through all data points for the full range of mobile phase compositions. For stationary phases of equivalent selectivity, a slope of 1 and intercept of zero is expected. As illustrated in Fig. 4, there are small deviations from the best fit line for the s, a, and b system constants. XBridge Shield RP18 is slightly more dipolar/ polarizable (average deviation for the system constants AD = 0.161 and standard deviation SD = 0.051, n = 7), a slightly stronger hydrogen-bond base (AD = 0.252, SD = 0.061 and n = 7), and a weaker hydrogen-bond acid [AD = 0.245, SD = 0.070, n = 6 (at 70% methanol, the deviation for b is essentially zero)] than Kinetex C18. The deviations for the v and e system constants have alternating signs and average to near zero. These interactions are essentially the same for both solvated stationary phases and independent of the mobile phase composition. These results can be compared to two stationary phases located in the same cluster in Fig. 3, expected to be more similar in their selectivity, for example XBridge C18 and Kinetex C18. The system constants for XBridge C18 and Kinetex C18 are plotted against each other in Fig. 5 for 20–70% (v/v) methanol (XBridge C18 is incompletely wet by 10% (v/v) methanol ). The regression model for the best fit straight line drawn through all system constants has a slope of 1.077 ± 0.009, an intercept of 0.022 ± 0.012 and a coefficient of determination of 0.998. The slope does not include 1 (95% confidence interval 1.096–1.058) and the intercept cannot be assumed to be zero (95% confidence interval − 0.002 to − 0.047). Although not selectivity equivalent, the two stationary phases are quite similar, and only minor changes in selectivity are likely for separations with either stationary phase. The average deviation for the system constants and their standard deviations are v = 0.164 (0.137), e = 0.072 (0.029), s = 0.037 (0.034), a = 0.011 (0.017), and b = 0.101 (0.119). The average deviations are small, and although their signs are not generally alternating, selectivity differences are minor and not strongly dependent on the methanol composition. The sign for each model coefficient should also be considered in interpreting the changes in retention. The v and b system constants are numerically the largest, always have opposite signs, and as a result their contribution to changes in selectivity for the compared stationary phases are to some extent off-setting. For method development purposes, it will be difficult to expand the selectivity space by changing column types, as shown in Table 2. Choosing different columns may result in significant changes in retention but only small changes in band spacing. A better strategy is to change the organic solvent component of the mobile phase for any selected column. Figure 6 compares the system constants for methanol–water and acetonitrile–water mobile phases on a Kinetex C18 stationary phase. The system constants for acetonitrile have been adjusted to constant isoelutropic strength with methanol, as is typical practice in method development in reversed-phase liquid chromatography [1, 3]. There is no sense in Fig. 6 that the system constants could be described by a linear model and the possibility of exploring a wider selectivity space for adjusting band spacing is obvious. For practitioners, this conclusion is not new, but a comparison of Figs. 4 and 6 provides a stark illustration of the limitations of stationary phase optimization (selecting a particular alkylsiloxane-bonded silica column) compared with using any column in Table 2 and selecting a different water-miscible organic solvent for the mobile phase. Since with high efficiency columns, small changes in selectivity may be useful for separating difficult samples, stationary phase selection should be reserved for fine tuning with solvent selection utilized for initial screening in method development. The observations made in this report are applicable to small neutral compounds and systems exhibiting typical behavior. Anomalous behavior is occasionally observed for normal operating conditions. Pore dewetting can occur when the surface tension of the mobile phase at the pore entrance of a porous stationary phase exceeds the local column pressure [43, 106]. For alkylsiloxane-bonded silica stationary phases, this can occur with water-rich mobile phases and results in a pressure-dependent retention factors due to exclusion of solutes from a fraction of the pore volume, where most of the retentive surface of the sorbent is located. Pore dewetting results in characteristic discontinuities in system maps, such as an abrupt change in system constants and the phase ratio (c term) at volume fractions of organic solvent generally < 30% (v/v) [8, 62, 86, 100, 101]. Steric resistance (or repulsion) is a term used to describe the inability of a compound to fully penetrate the interphase region because of its size or shape [95, 98, 107]. Experimentally, this is observed as discontinuities in plots of the retention factor (log k) against mobile phase composition for binary mobile phases. The discontinuity indicates the retention factors that can be combined with those for compounds not subject to steric resistance to build a general model, usually those on the high volume fraction of organic solvent side of the discontinuity, and those which must be discarded, generally on the low volume fraction of organic solvent side of the discontinuity. The general interpretation of steric resistance is based on a partition model but presumably this is not essential. There are indicating factors for solutes and stationary phases that facilitate an understanding of steric repulsion but as there are numerous exceptions and many phases for which steric repulsion does not affect retention, there is no thorough theoretical treatment. The solvation parameter model is not parameterized to describe electrostatic interactions that increase retention for bases compared with neutral compounds [62, 92, 94]. Accessible ionized silanol groups in the interphase region are generally considered the source of these interactions. For the same column methanol–water mobile phase, compositions may suppress these interactions with weak bases, while at the same time, they are significant for acetonitrile–water mobile phase compositions [92, 98, 99, 100, 101]. If electrostatic interactions make a significant contribution to the retention mechanism for bases, then they cannot be co-modeled with neutral compounds using the general form of the solvation parameter model. After more than half a century of development most of what we profess to know about the retention mechanism for reversed-phase liquid chromatography remains conjecture. There are two parts to the dilemma. The factors that contribute to retention are several and variable and do not allow a simple mathematical description. The interphase region is complex and likely explored selectively by solutes of different sizes and capacities for intermolecular interactions which single distribution mechanistic models fail to address. Theoretical models often require information for features of the separation system that are generally unknown and barely amenable to experimental measurement. On the other hand, the exploration of retention by experiment is not particularly challenging as gross retention relationships can be described by simple empirical models. This has allowed prescriptive guidelines to trump theoretical models in the important activity of method development. That combined with the availability of ever more efficient chromatographic systems allows success to be achieved without identifying a truly optimum system. In the pragmatic sense, it gets the job done even if providing little information about how. Linear free energy relationships and the solvation parameter model in particular offer some sort of half-way house. They allow us to learn something about the system characteristics, but a deeper interpretation requires assumptions as to how the system behaves. A major advantage of the solvation parameter model is that it describes retention with a small and constant number of variables facilitating application to the basic steps of method development. As fundamental studies of the retention mechanism have become less popular over time it is impossible to say when the definitive publication of the general retention mechanism for reversed-phase liquid chromatography will appear.